For many states in the country, back-to-school shopping often means big savings when it comes to sales tax. In these states, sales tax is waived on special days or weekends. So residents wait to buy big-ticket items until those days to benefit the most from the savings. In many states, the special tax-free days are only for clothing and school supply purchases. Restrictions and dates vary per state and even per year, but typically most tax-free weekends are held in August. It's also important to note that the tax-free deals are usually only a 7 percent discount, which shaves off a few dollars but isn't a massive sale overall. 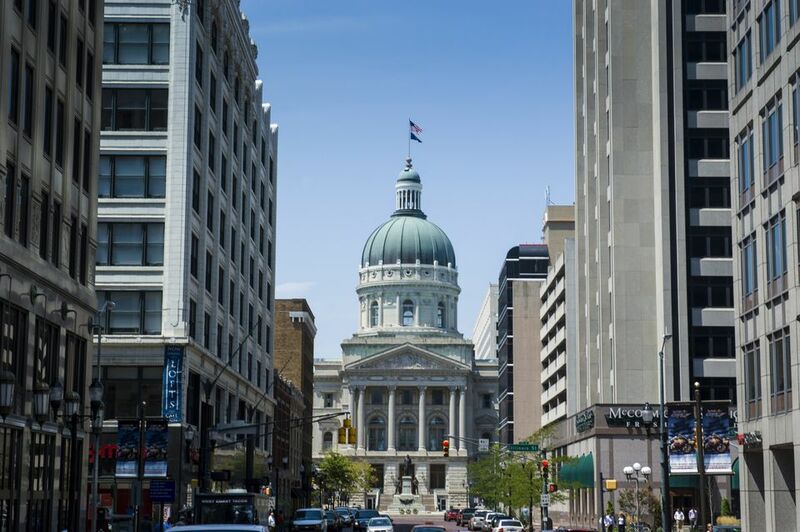 Unfortunately for residents of Indiana, the state does not have the benefit of a tax-free weekend or sales tax holiday. However, some nearby states do offer a tax-free weekend and are convenient options for a quick road trip over the border. If you're going to be on vacation in August, it's not a bad idea to see if and when surrounding states offer their tax-free events. You might want to shop while you're there. Illinois, Michigan, and Kentucky do not have tax-free weekends, but Ohio does. In Ohio, the sales tax holiday is usually held the first weekend in August—plenty of time to get your supplies before school in Indiana starts. The tax-free weekend in Ohio applies to school supplies that cost more than $20 per item and clothing that costs more than $75 each. Many states with tax-free weekends only allow the discount for clothing over $100 a piece, so Ohio's regulations make it even more of a steal. Just because Indiana doesn't have a sales tax holiday, that doesn't mean you can't save just as much money with savvy shopping. Local retailers offer a lot of great back-to-school sales, and they start about mid-summer. When it comes to school supplies, the various chain stores and office supply stores always offer penny deals or big discounts. Michaels, for instance, often advertises coupons for 25 percent off your entire purchase. Most department stores also time big sales for Labor Day weekend, right around the time school begins in most states. So make sure to shop around during the summer season to catch major back-to-school markdowns.